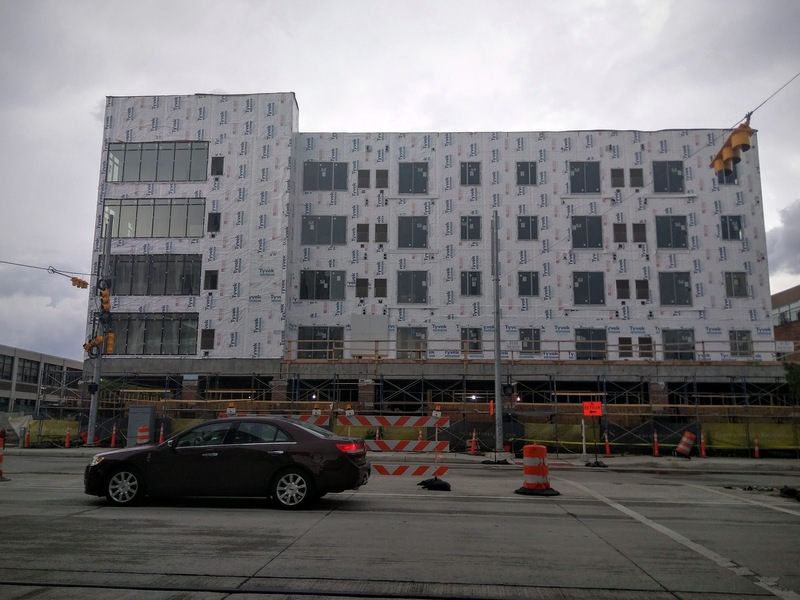 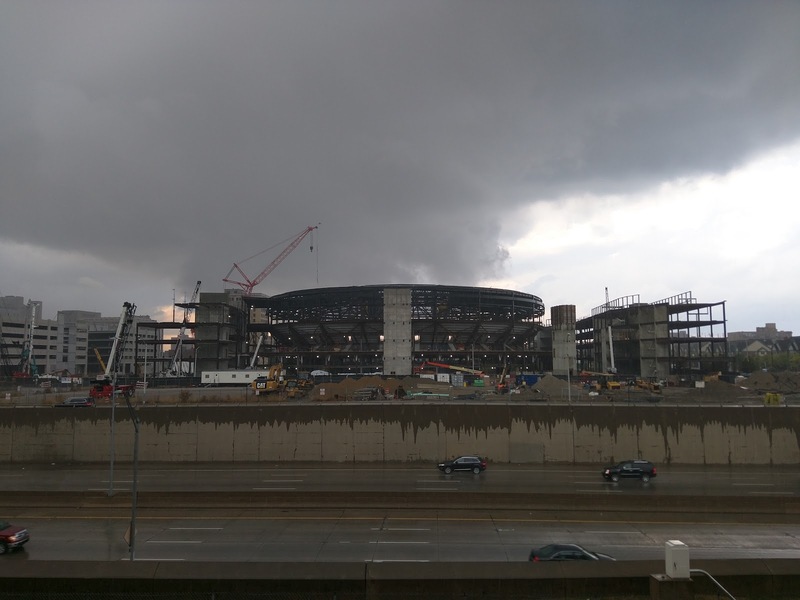 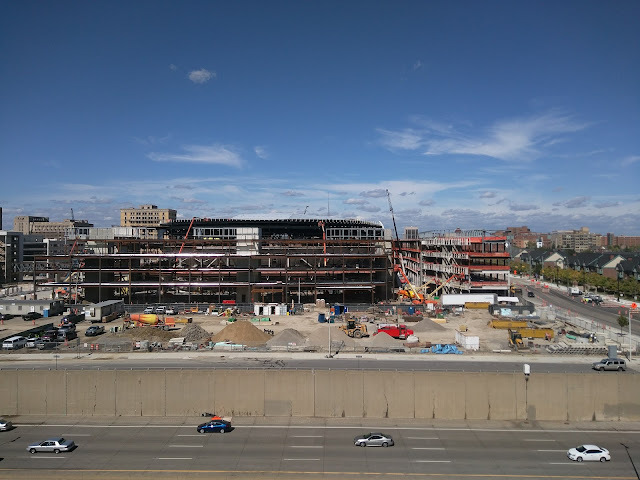 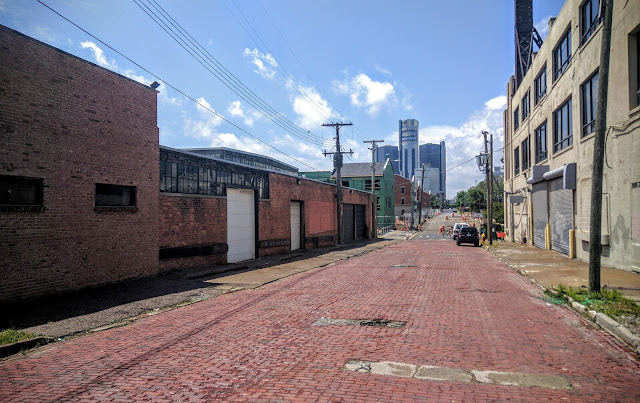 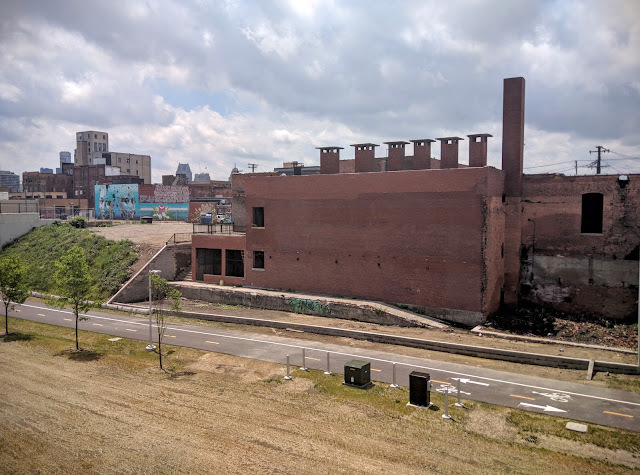 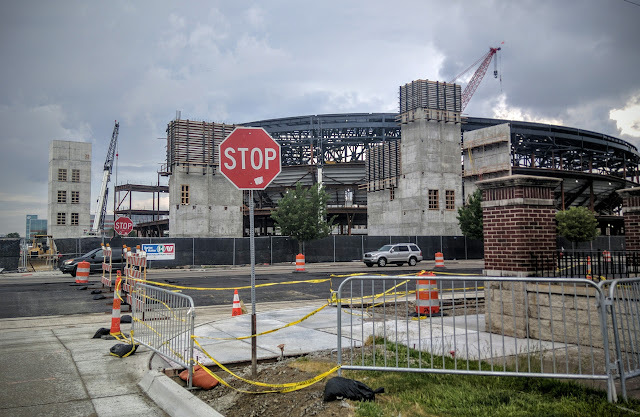 More Parking Opportunities Arise in "Wildcat Corner"
A second parking garage rises on Montcalm Street between St. Johns’ Episcopal Church and the current Detroit Tigers’ garage. 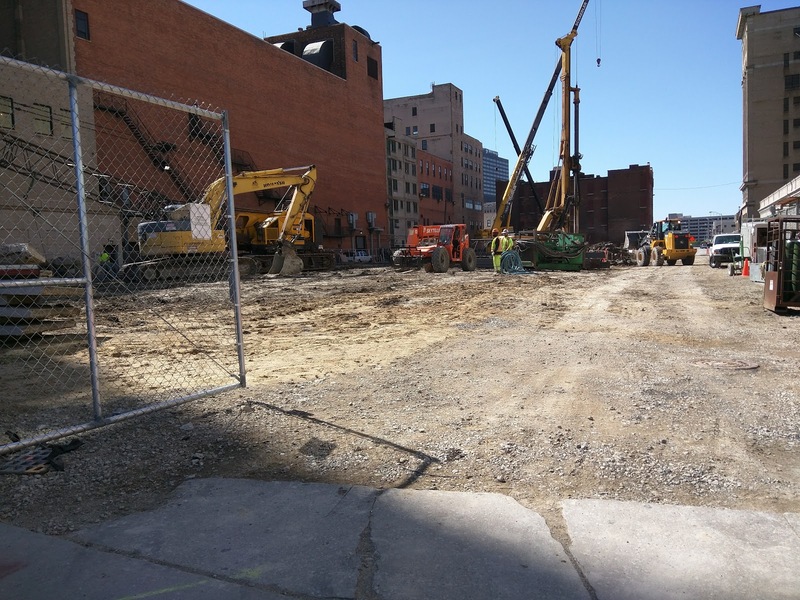 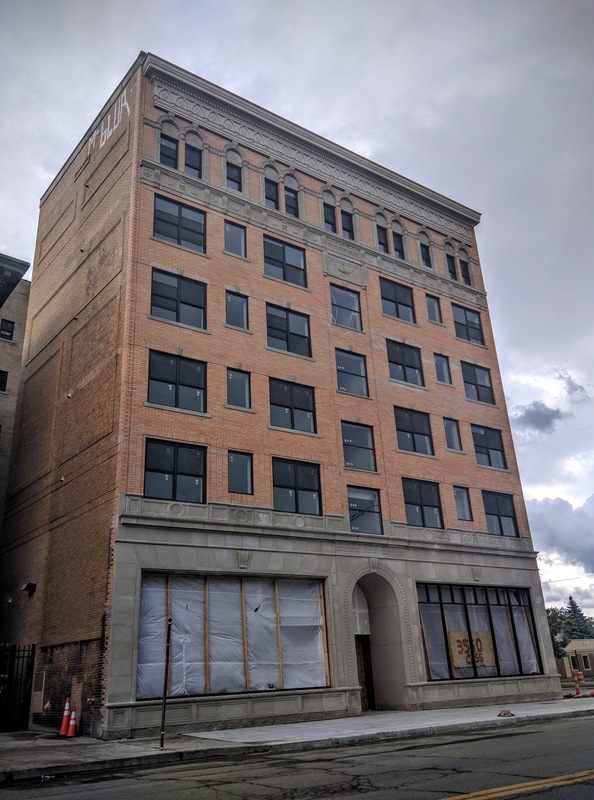 Prep work has begun for construction of the Little Caesars headquarters building on Columbia street. 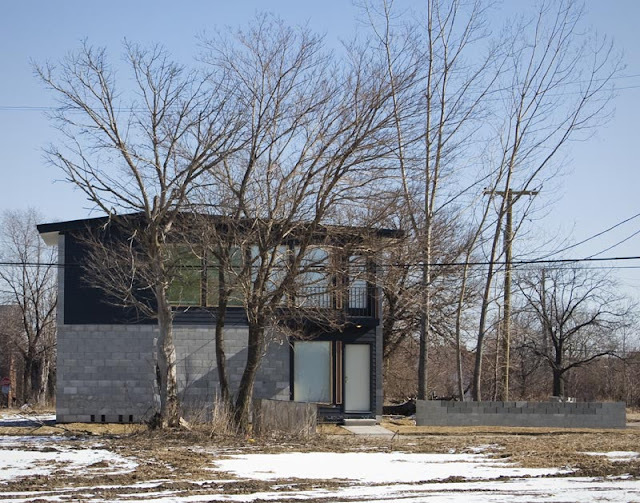 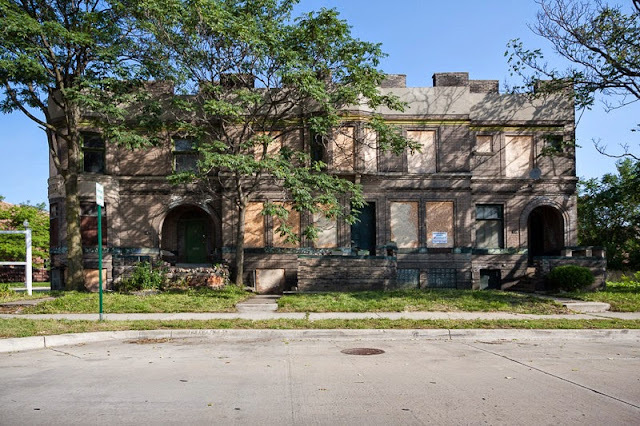 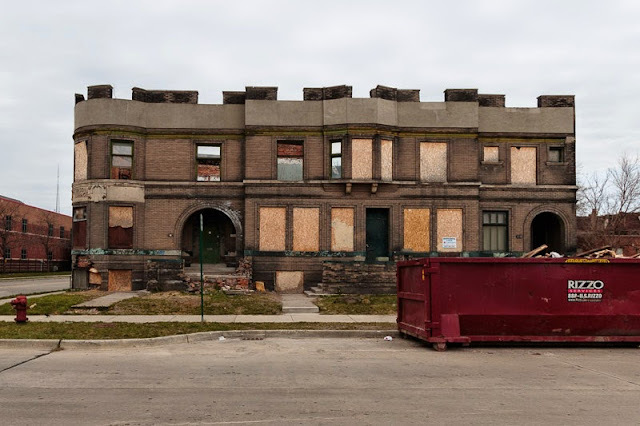 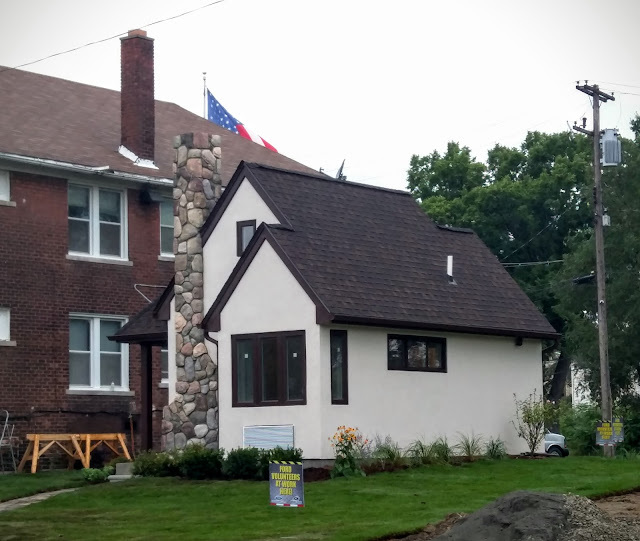 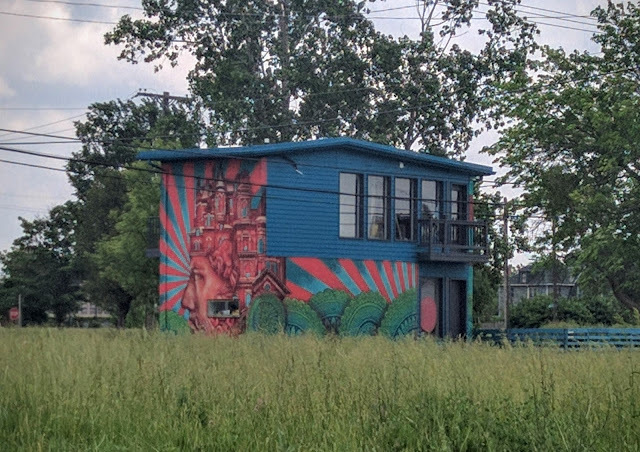 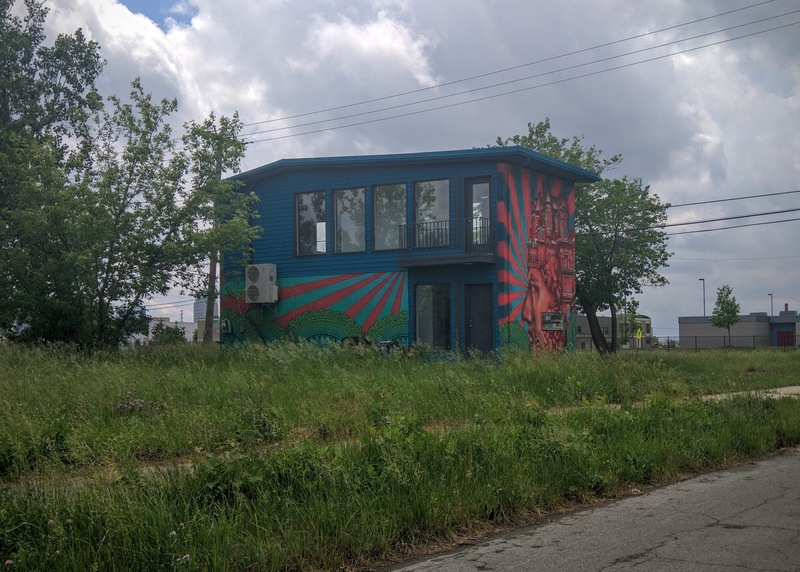 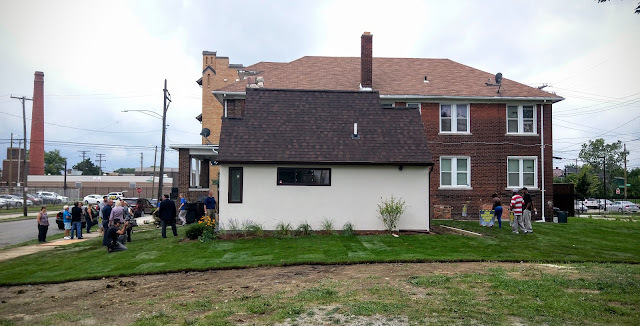 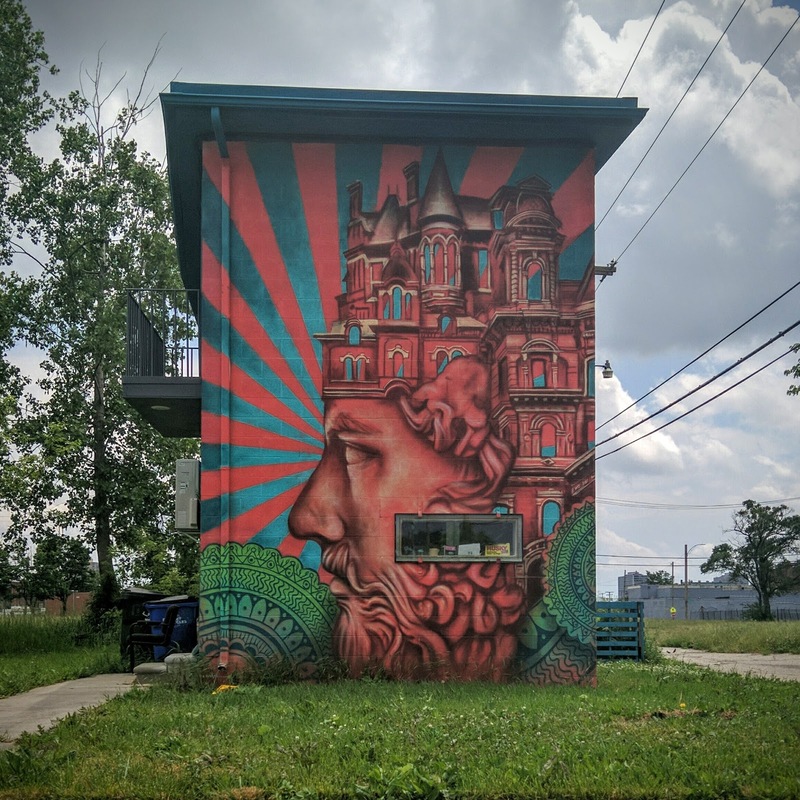 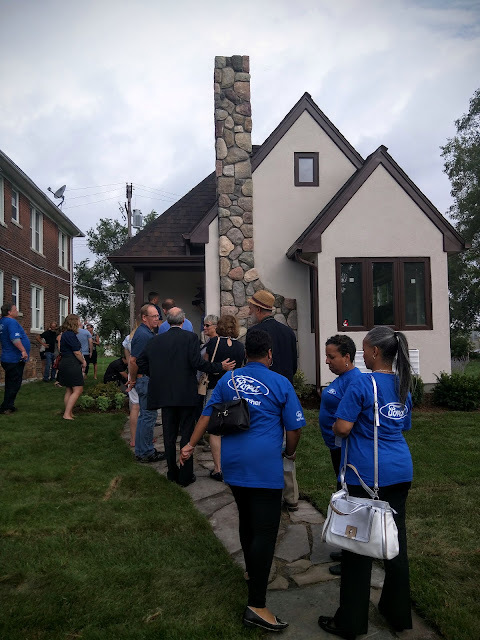 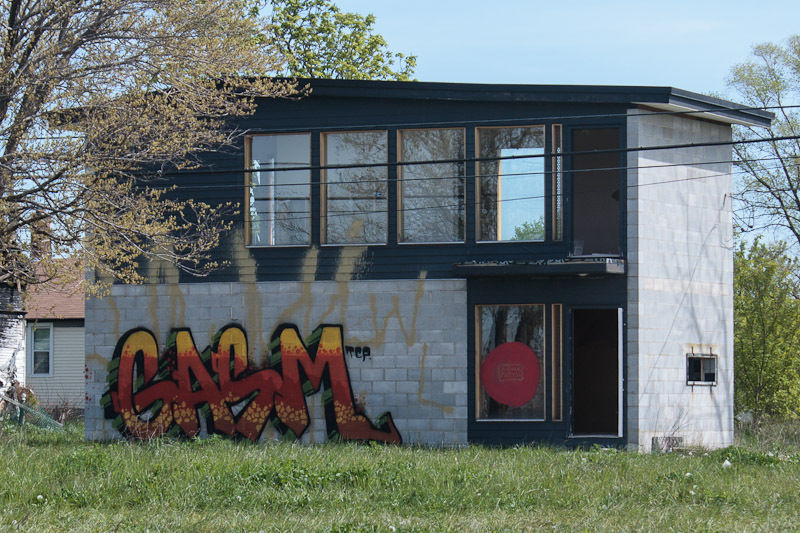 Detroit's Little House on the Urban Prairie through the years. 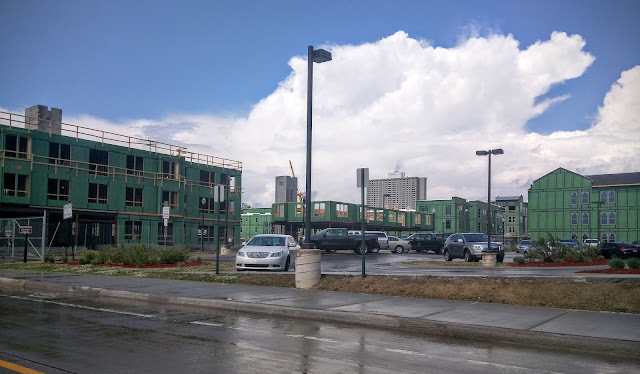 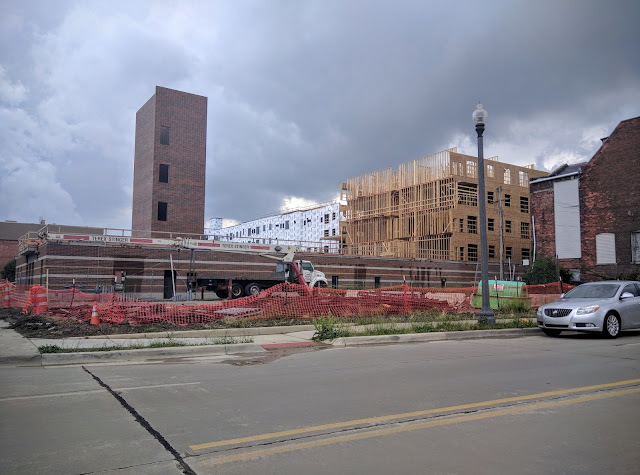 The $65 million initial phase of the Orleans Landing development is taking shape near the Detroit River. 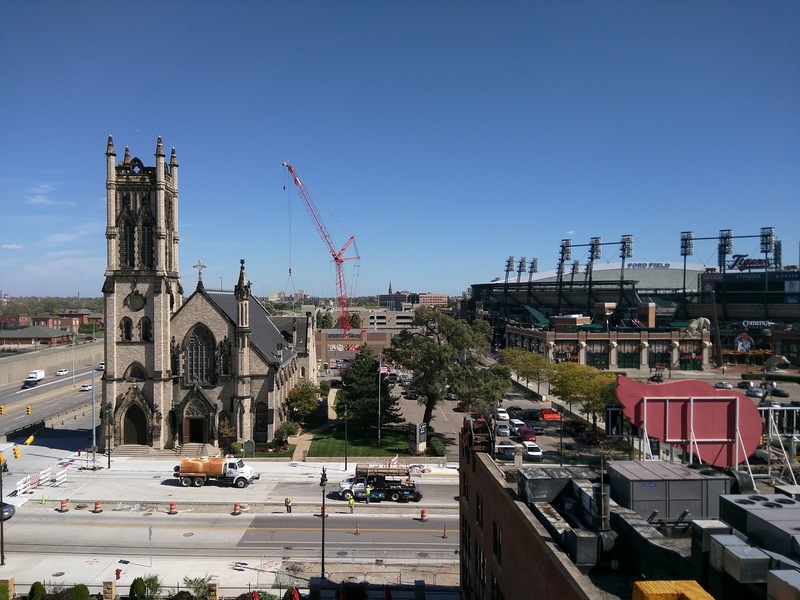 It is part of the first new market-rate residential construction on Detroit’s East Riverfront in 25 years. 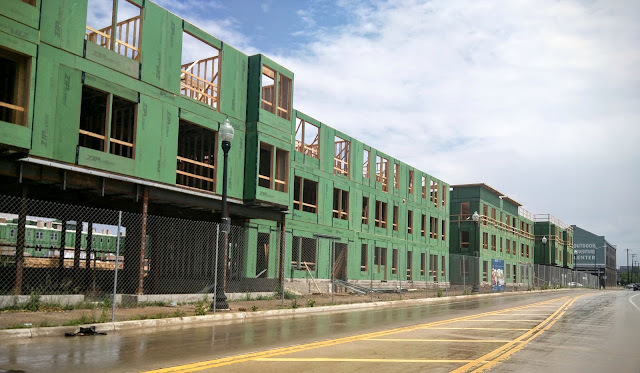 This phase promises 278 residential units along with street level retail. 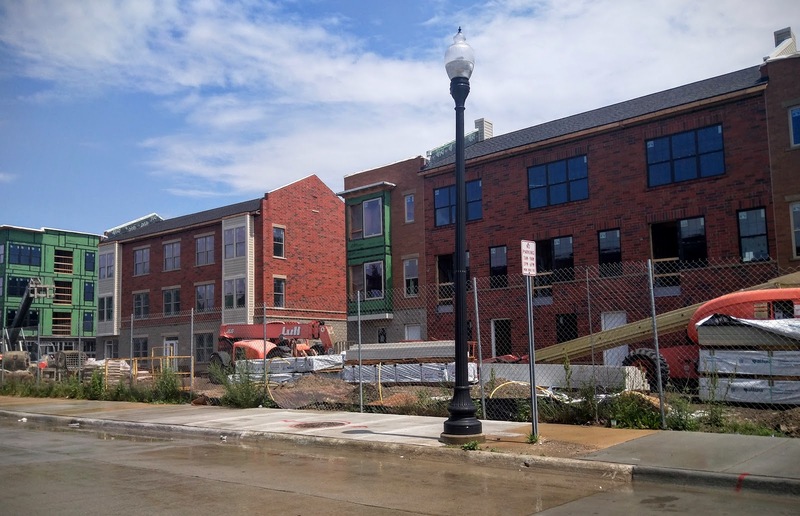 A second phase with 230 additional units is planned. 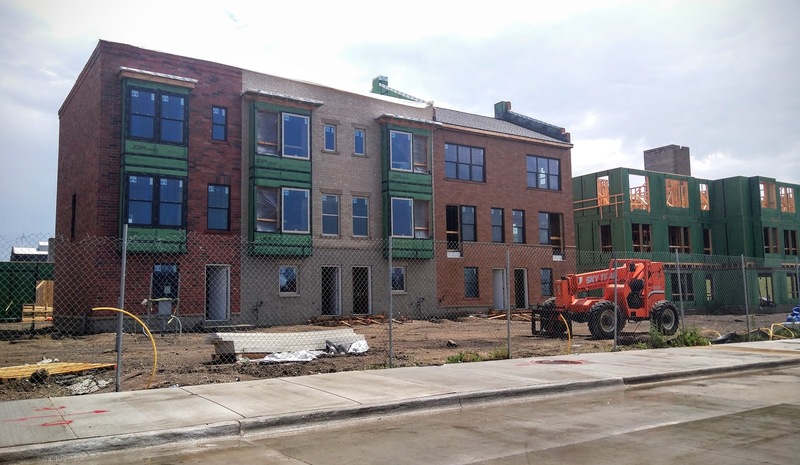 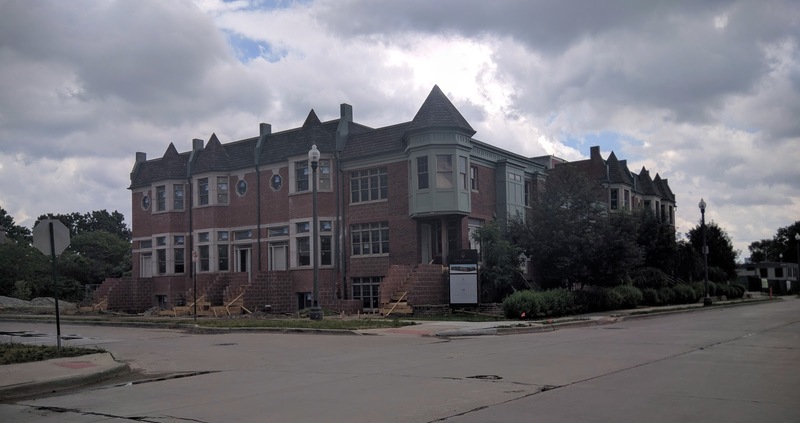 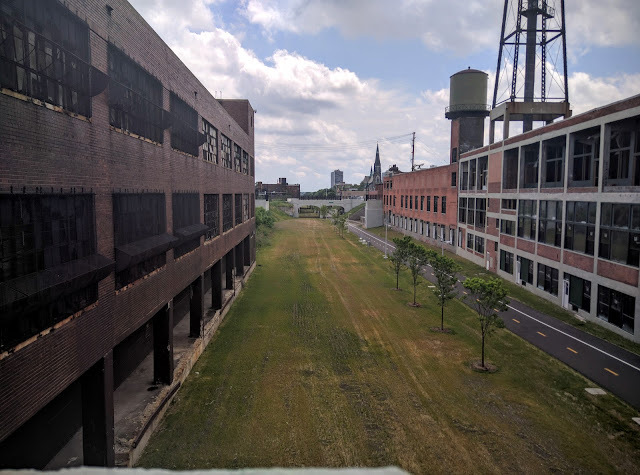 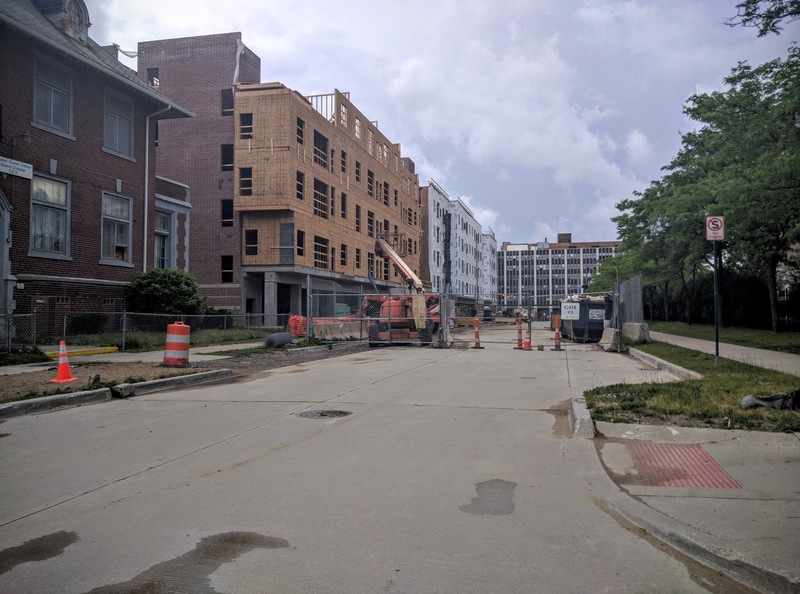 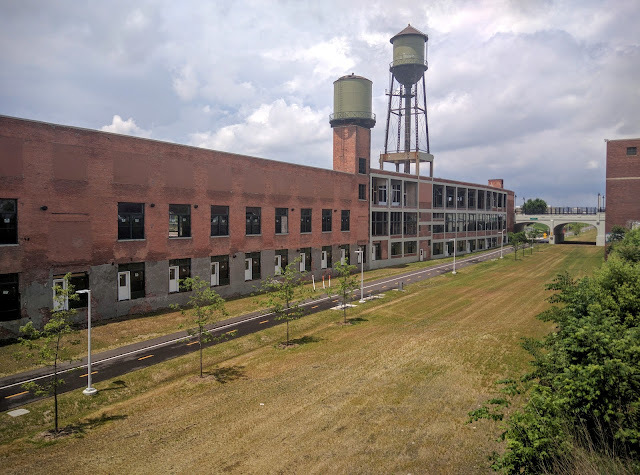 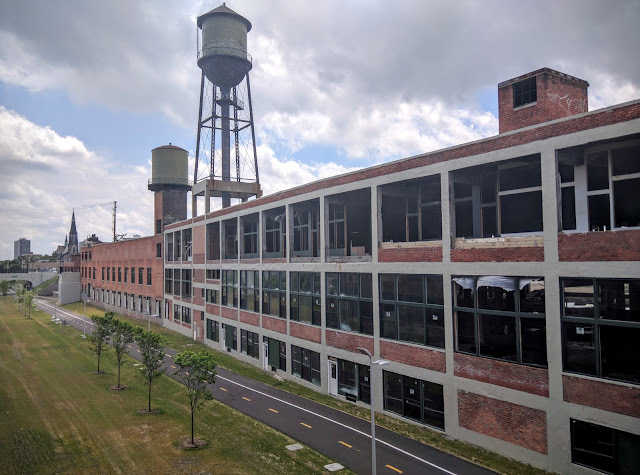 It looks like Brush Park Village North is on the verge of finally being completed almost ten years after initial construction began. 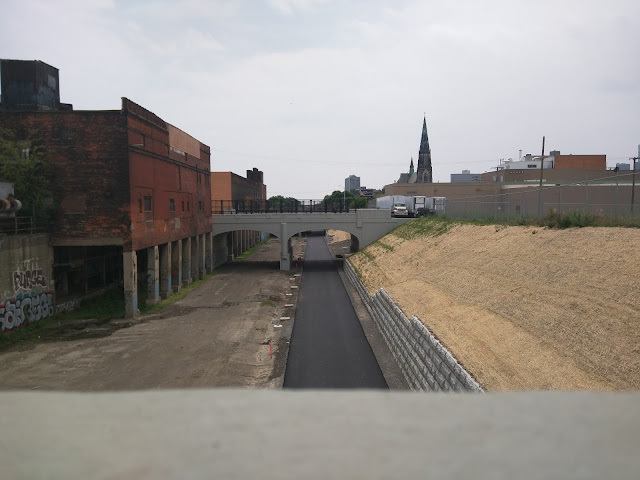 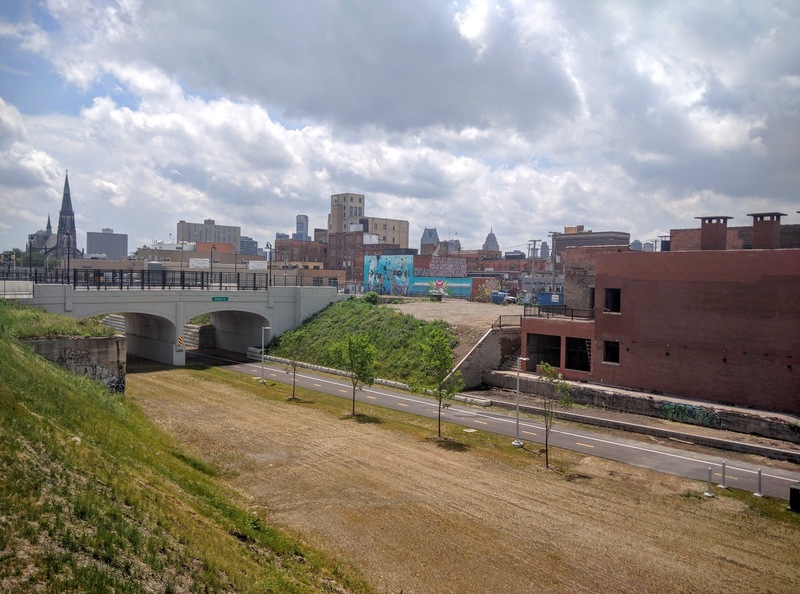 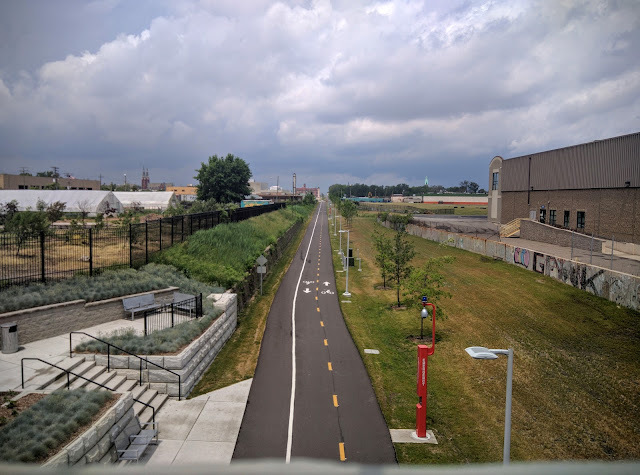 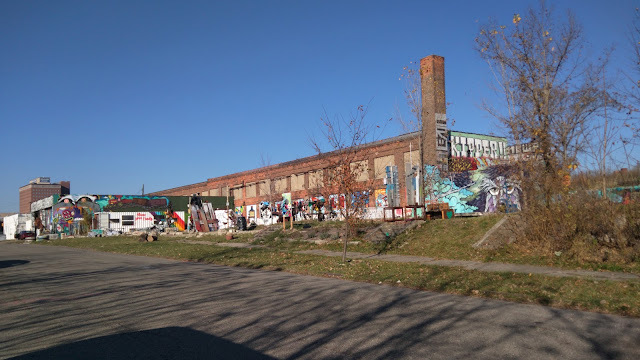 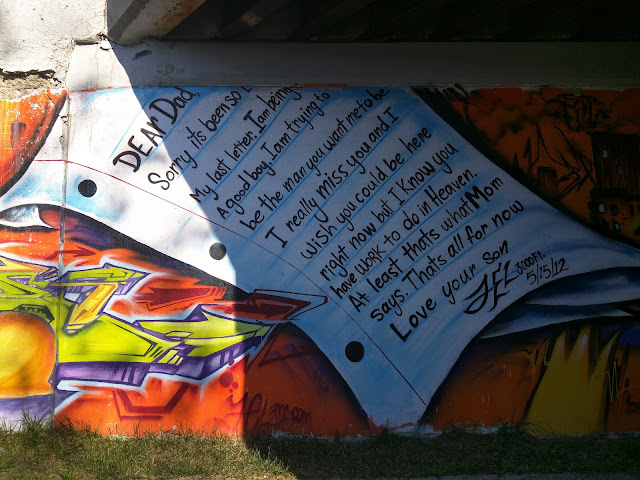 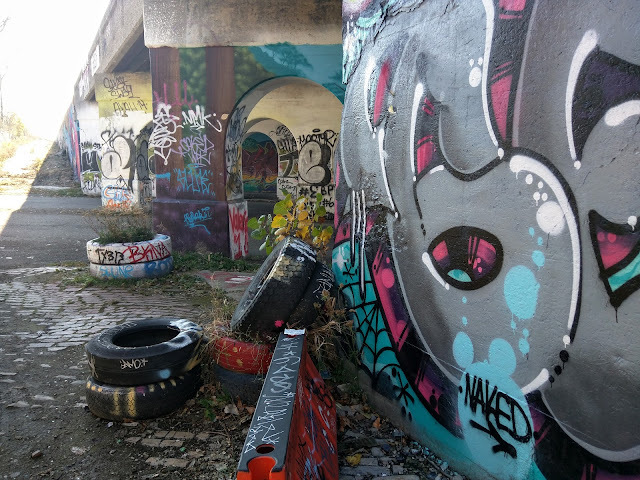 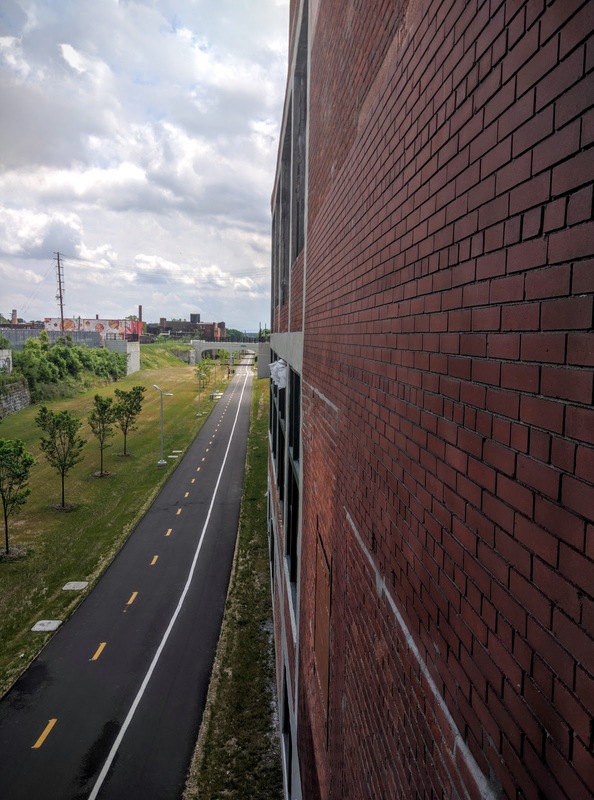 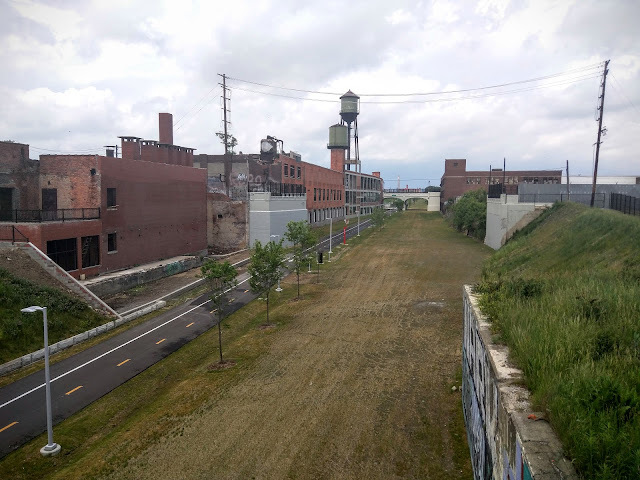 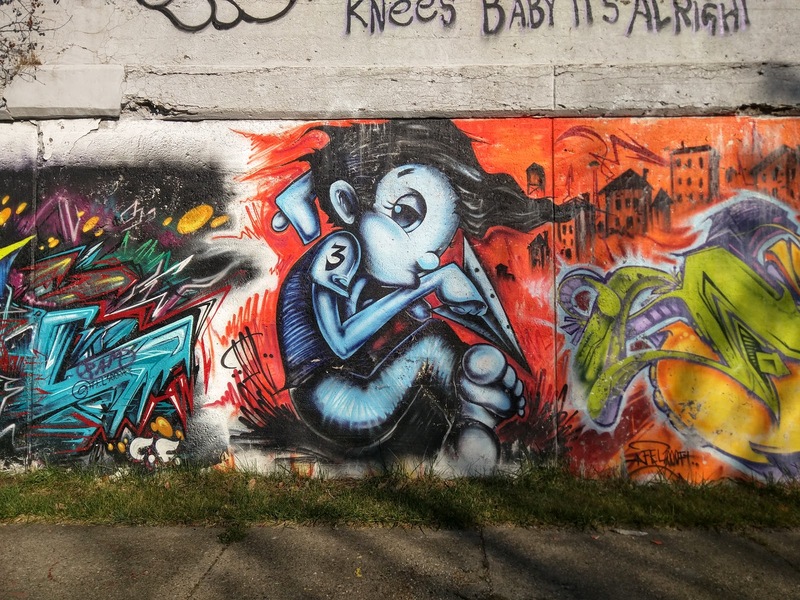 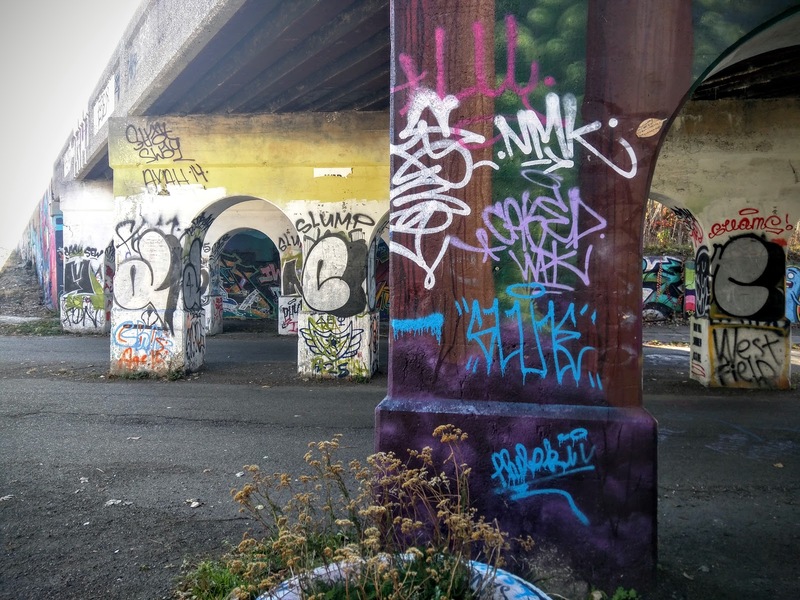 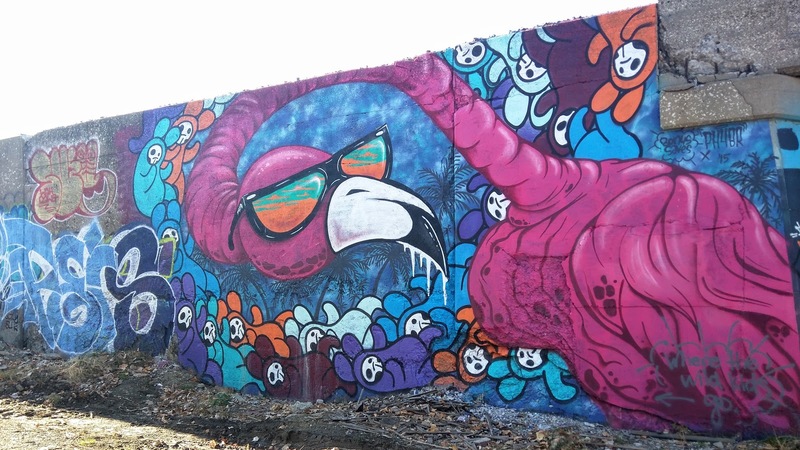 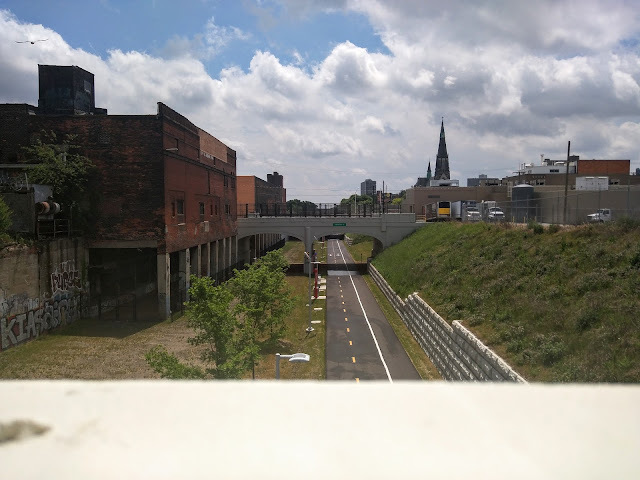 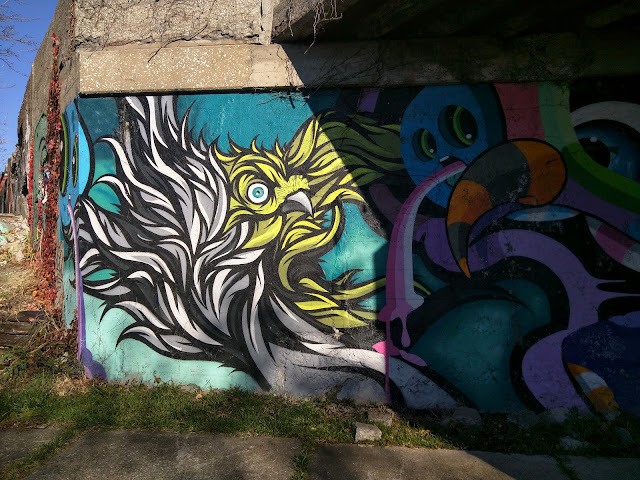 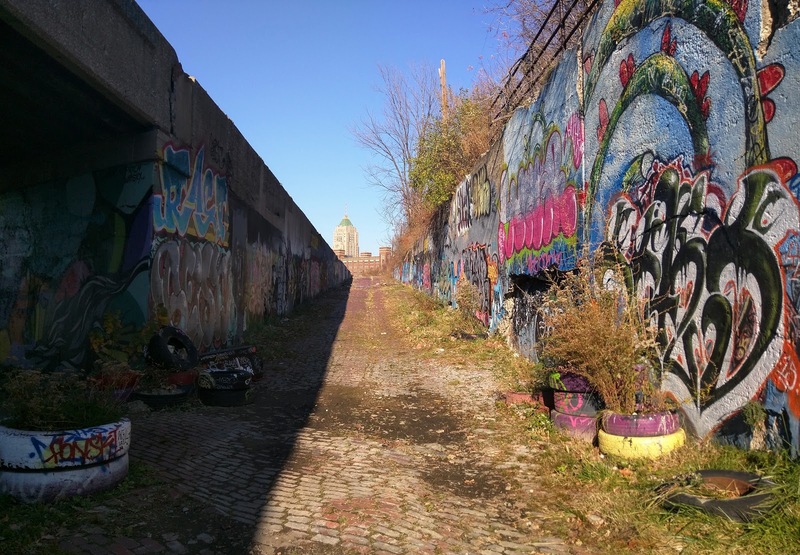 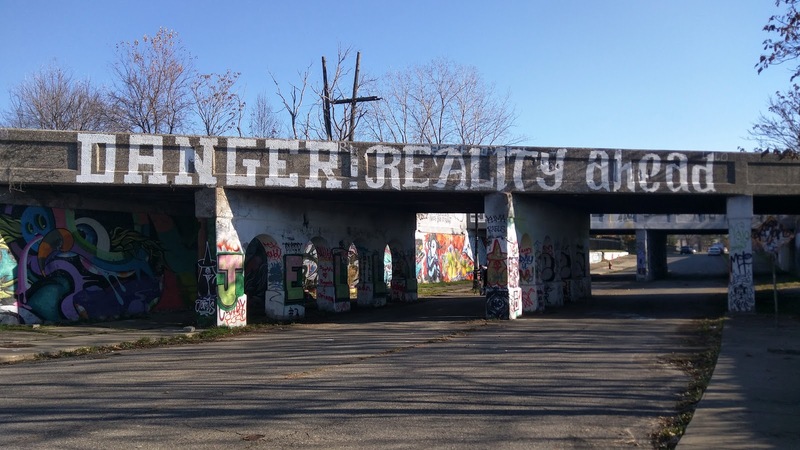 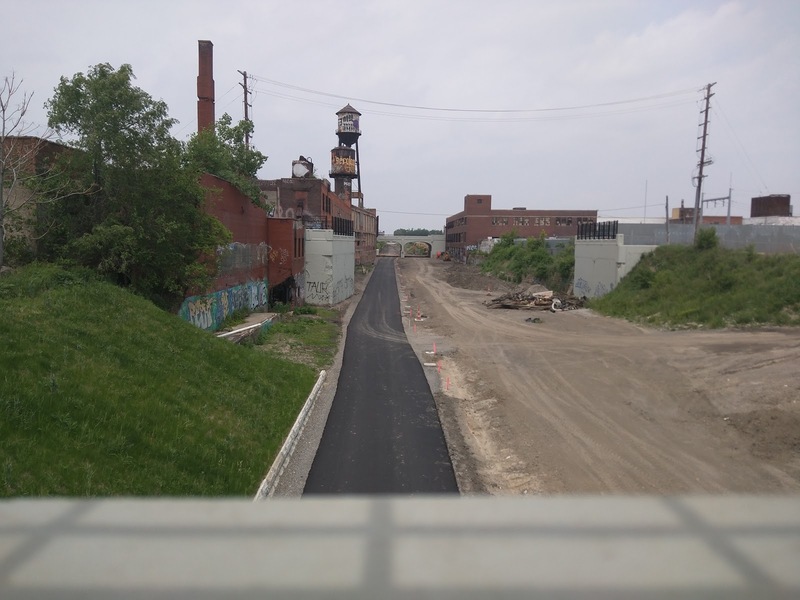 The extension of the Dequindre Cut through Eastern Market is now complete. 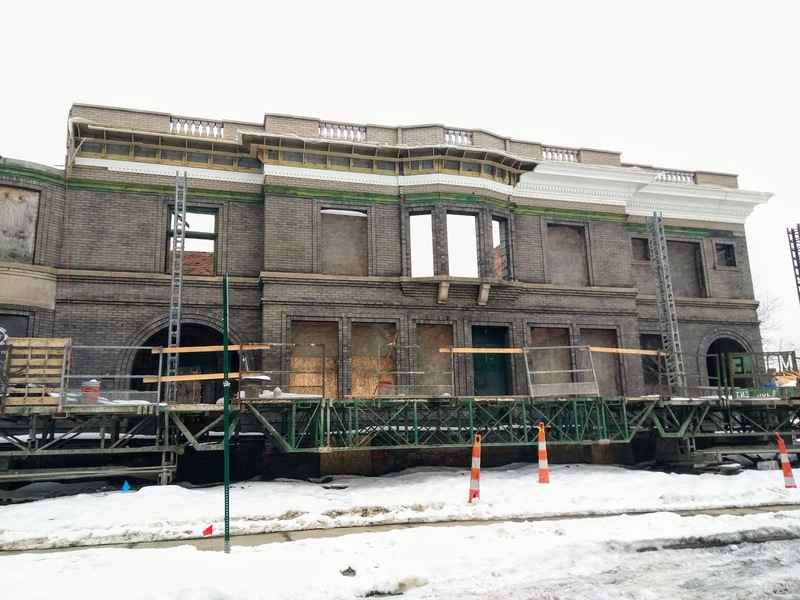 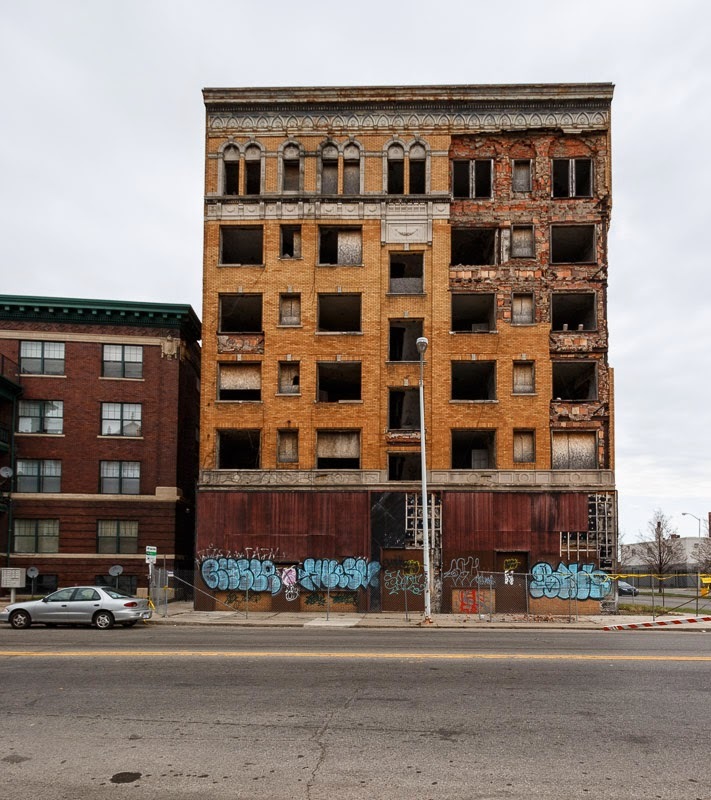 The Cass Plaza (Naomi Apartments 1924) is receiving a facelift. 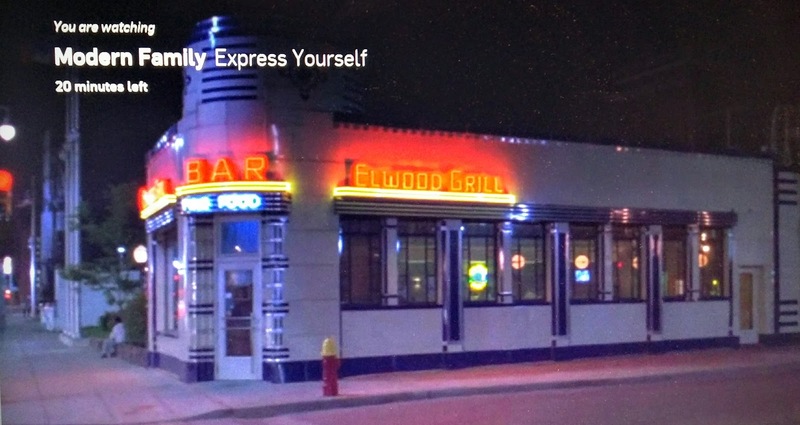 Modern Family episode 7x17 titled "Express Yourself" contains two exterior shots of the Elwood Grill. Modern Family takes place in modern day suburban Los Angeles. 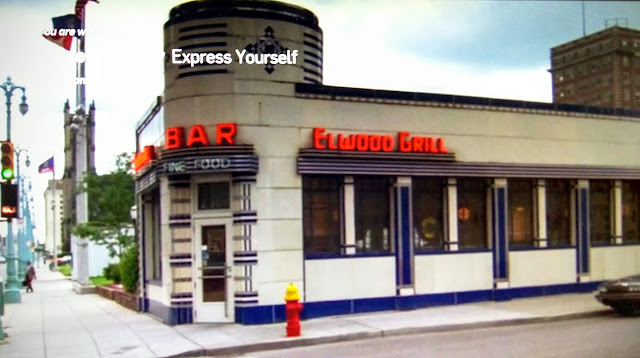 These photos were taken at the bar's former location at the corner of Woodward and Elizabeth, prior to the building being moved in 1997 to make way for the construction of Comerica Park.